Have you ever been sitting at your computer and all of a sudden remembered that you badly need to add something to your shopping list? Have you felt that urge – to put it down right away, without leaving your desktop, ON the desktop? Or, maybe, the small keys of your smartphone keyboard drive you crazy when you are trying to enter a new product name? Now you don’t need to make a reach for your smartphone and suffer hitting the tiny letters on the handy screen since we’ve released the “Buy Me a Pie! 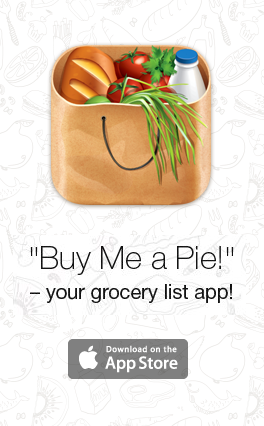 – Grocery Shopping List” app for your Mac. 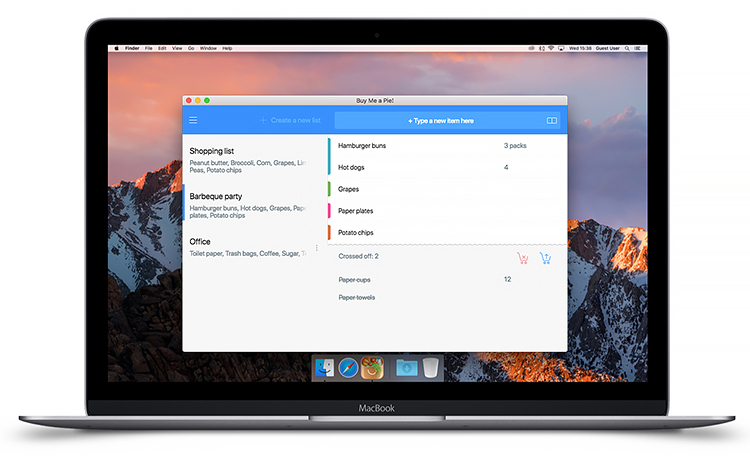 Install it on your Macbook or iMac, and manage your grocery lists any time you need. Pasta is the nearest road that leads you to Italy without travelling for real. 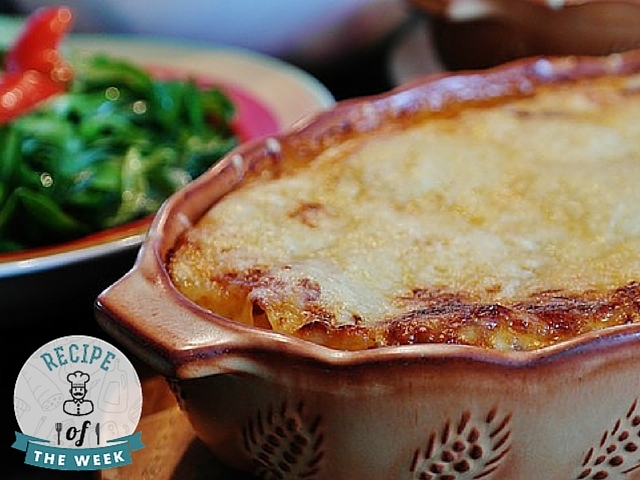 Macaroni with cheese, spaghetti with Bolognese sauce, pasta with basilica and mozzarella, and... Yep, we thought of lasagna! 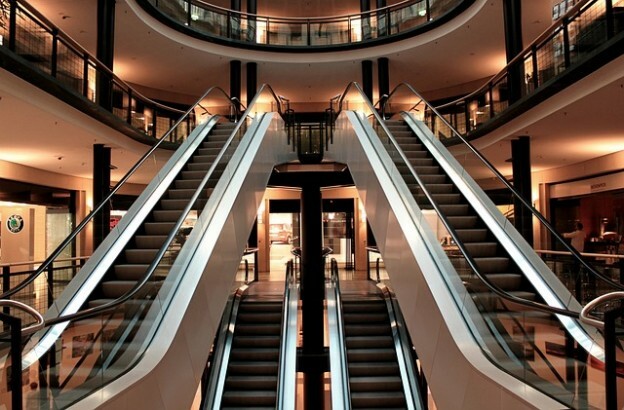 These are the favorite "sins" to all goumands. Many people say that if someone “deviates” from the basic recipes, the Italian chefs would get angry or offended. So, today we’re risking to be judged by an Italian chef by sharing with you a vegetarian lasagna recipe. Melt the butter in a pan at a low heat. When it starts to make foam, add the flour and let it cook for 5 minutes. Through all the time stir quickly with a wooden spoon. Pour half of the milk and mix it thoroughly. Then, add the rest of milk and stirring it, try to get a homogeneous mixture without lumps. Add the spices, mix again ad put aside. Chop the mushrooms and crush the white cheese, then mix them well and add your favourite spices (for example, dried garlic and pepper, dried basilica and grated Indian nuts). Brush the pan for lasagna with butter. With a spoon, put the béchamel sauce to the bottom of the pan and arrange the first row of lasagna sheets. Put leafs of boiled spinach over the lasagna sheets and add the mushroom/cheese filling. Cover this filling with béchamel sauce, then add one more row of lasagna sheets. Repeat the steps two more times. Put the sauce abundantly on the last row and add a little water to make lasagna soft. Cover the pan with aluminium foil and bake on 250°C for 30 minutes. Don’t overdo with butter, because it very easily steals the flavor of the filling. 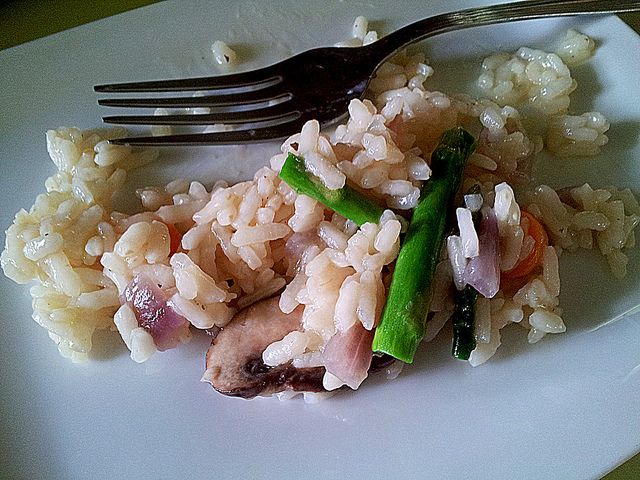 Warming, aromatic risotto is the ultimate comfort food. As the summer begins to fade and the nights start drawing in, it’s times to indulge in this easy-to-make one-pot dish and add risotto rice to your grocery list. Here are ideas for three very different risotto recipes. Meat-eaters or vegetarians – there’s something to suit everyone here. You’ll need a large heavy-based frying pan to cook the dish in. Hundreds of cookbooks and tons of cooking websites are fine, when you have time and mood to idly browse through numerous recipes trying to decide, if you’d like to try any of these unusual dishes. But none of them is able to give a quick and exact answer to the most pressing question of all time – what to cook for dinner tonight? Where is that magiс service that can look at the products you have and just tell you what you can cook with them? It’s right here, in your Facebook Messenger. Meet our new Dinner Ideas Bot! All you need to use it is actually Facebook Messenger. No apps to install, no subscriptions or anything else. 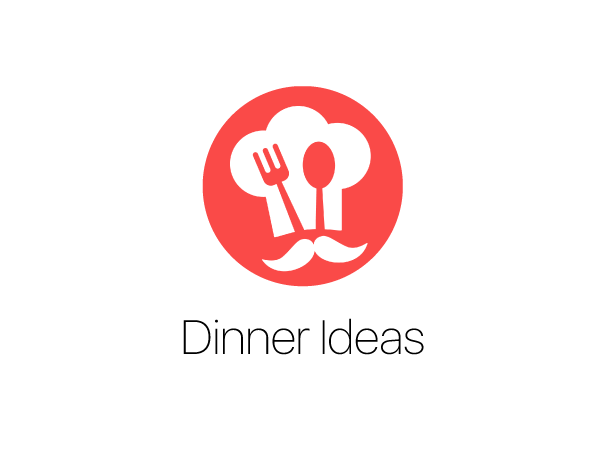 Just open m.me/dinnerideasbot or simply enter “Dinner Ideas” in the search field of the Facebook messenger. That’s it! 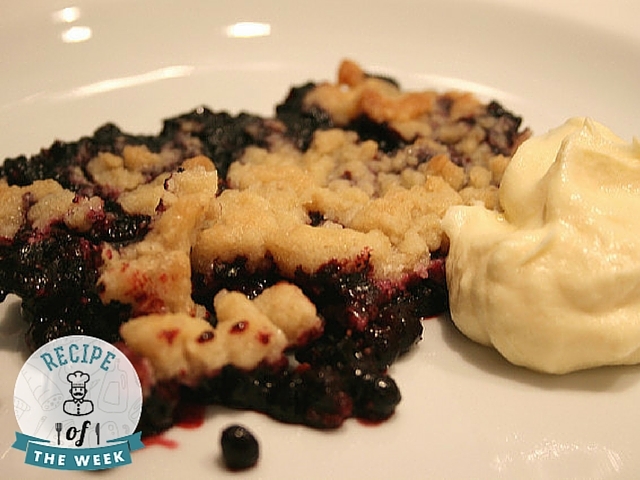 Perfect for a Sunday brunch, a picnic in the park, or a special celebration, this blueberry crumble will disappear faster than you can say “yum!”. You can actually substitute the blueberries for another fruit, such as strawberries, raspberries, or rhubarb. Preheat oven to 400 F. In a large bowl, combine the walnuts, oats, cinnamon, butter, brown sugar, ¾ cup flour, and 1 tablespoon sugar. Place the mixture into a large blender or food processor and pulse until coarse and crumbly (not fine). Reserve. Place the blueberries on a baking sheet and cover them with ½ cup of sugar and 3 tablespoons flour. Pour the crumble mixture on top in an even layer. Bake for 30-40 minutes, adding the rest of sugar halfway through. Remove from oven and serve warm, with or without ice cream. Proja is a Balkan specialty that few can resist. 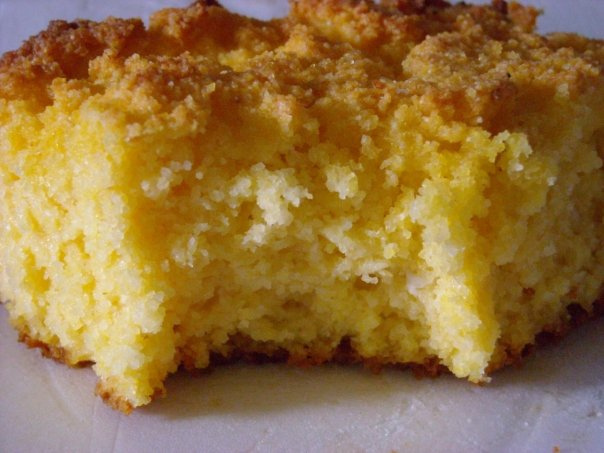 This tasty dish has several variations, but the basic consists of corn flour, cheese and yogurt. We are offering you an alternative which, by the recipe, includes spinach. 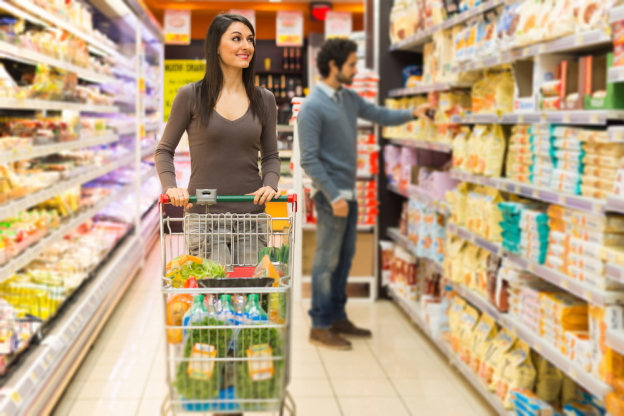 However, if you want, you can avoid adding vegetables on your grocery list and stick to the basics. With the weather getting warmer, the flowers blooming, and the fruits ripening, you can look forward to some delicious summertime desserts! Paired with a nice cup of coffee or tea, this light and fluffy dessert will leave you in food paradise. Preheat oven to 350 F. Butter or oil a loaf pan and line it with parchment paper. In a large mixing bowl, combine the baking powder and salt; sift in the flour. In a separate bowl, stir together the yogurt, eggs, vanilla, lemon zest, and one cup of sugar. Slowly fold the wet ingredients into the dry ingredients. Add the vegetable oil and thoroughly mix everything together until there are no dry lumps. Pour the batter into the lined loaf pan and bake for 50 minutes or until a toothpick comes out clean. To make the frosting, mix ⅓ cup of lemon juice and ⅓ cup of sugar; add the mixture to a saucepan and heat on medium-high until the sugar dissolves and you have a clear mixture. Reserve for later. 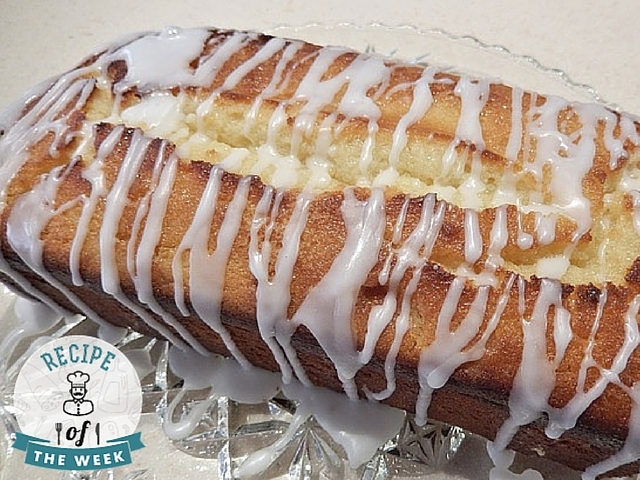 Combine 2 tablespoons lemon juice and the confectioner’s sugar to create a glaze. Remove the loaf cake from the oven and let cool on counter for 10 minutes. Pour the reserved frosting over the cake. Add the glaze and serve. Mango Lassi is a real treat in the summers – its taste, its vibrant colour and its cooling properties are sure to delight you! It is an extremely refreshing drink that beats the summer heat while being packed with health and nutrition. 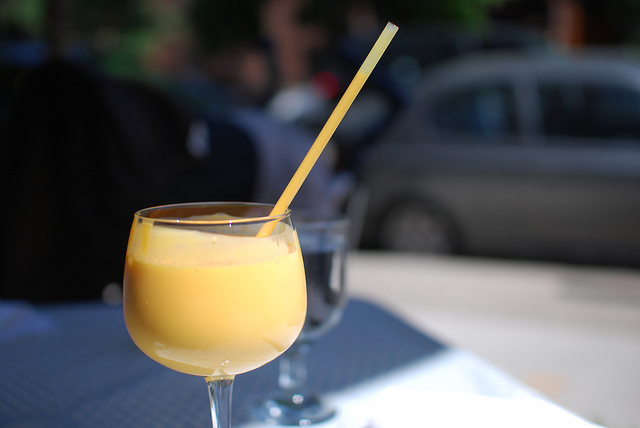 This cooling drink is utterly delicious; infused with mangoes, subtly spiced, and with a rich creamy texture. It is a very popular drink in the Indian subcontinent and can be had standalone on a warm, sunny afternoon while it can also be a great accompaniment to spicy food. The best news of it all is that you don’t have to run to the nearest restaurant to get your heart’s fill of this delicious blend. It is extremely simple to make and requires very few ingredients. So read on and follow this recipe to make traditional Mango Lassi (yogurt drink) all by yourself. The colour and taste of the drink depend heavily on the variety of mangoes used, so make sure you add the best ones to your grocery list! There is also a savoury (using salt instead of sugar) version of this recipe, but today we will focus on make sweet Mango Lassi.